A lightweight metal-based material produced in very thin thicknesses that can be easily formed for cooking, wrapping, covering, or lining processes when preparing or storing foods. It is a versatile product commonly used for numerous household tasks, many of which are related to food preparation. It is a metal-based product so it acts as an effective vapor barrier to keep liquids and drippings off pan surfaces. When used to wrap foods for cooling or freezing, it works very well for reducing the transfer of moisture, the transfer of odors and vapor if the material is sealed tightly around the food. When freezing foods, first wrap the food in plastic wrap and then use Foil tightly wrapped around the plastic to keep out the oxygen to avoid food with freezer burn. Line pans with foil to make clean up easier when catching drippings from pies, fruits, meats, and poultry. Foil conducts heat well in ovens or grills, withstanding excessive temperatures, so it acts as a good barrier to protect food areas from over baking, such as pie crusts and poultry skins, allowing the foods to cook slower and more thoroughly without burning. Foil serves as a means to make various foods, such as cookies, crispier on the bottom. Cookie dough placed on foil-lined baking sheets that are sprayed with cooking spray prior to placing the dough on the sheet, bake with a crispier bottom. The dough spreads our slightly as the cookie bakes and the cookie becomes crunchier as the temperatures increase on the foil resting against the bottom of the cookie. When storing foods with vinegar, highly salted foods, highly spiced foods, or highly acidic foods such as tomatoes, the food substances can adversely react with the metal, causing it to breakdown and damage the food or creating a blue residue. 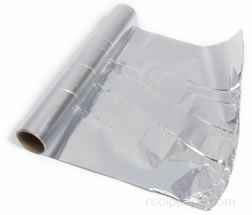 When wrapped around some metals such as sterling silver, silverplate, iron, or stainless steel, an electrolytic reaction may occur causing the aluminum foil to breakdown and alter its beneficial properties. 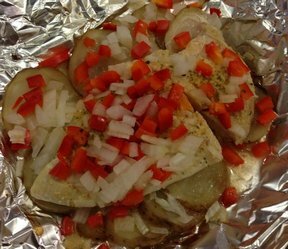 Aluminum foil works well in some cooking processes but not in all others. It is a material that causes sparks and arcing to occur when large pieces are used for cooking foods in microwaves, so extreme caution is advised if foil is to be used in any manner when microwave cooking. In some microwaves, a small amount of material can be used to cover only small surface areas, but it is most often not advised, unless it has been successfully attempted and accomplished previously. Do not line the bottom of ovens in kitchen stoves with foil to catch spilled foods. 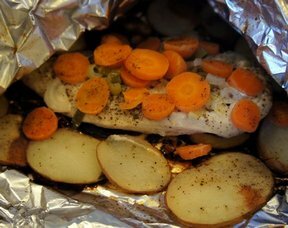 The foil has excellent reflective properties but when used in ovens an adverse reaction may occur as the properties in the aluminum foil may cause uneven heating to occur within the oven, damaging not only the food but possibly the stove as well. Aluminum foil typically has a dull and a shiny side, which occurs during the manufacturing of the material. Typically, neither side is significantly better than the other for the general purposes of cooking, wrapping, covering, or lining processes when preparing or storing foods. 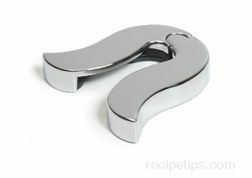 However, since there is a dull and a shiny side, and since the shiny side is a better reflector of heat or cold, it may be of some value to use each side accordingly when cooking or storing foods. It is simply that the difference in value is very small and probably not noticeable. 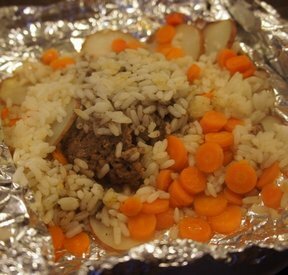 That said, since the shiny side of foil will reflect heat better, wrap foods to be stored in refrigerated conditions with the shiny side out so warmer temperatures are reflected away and kept out of the wrapped food. 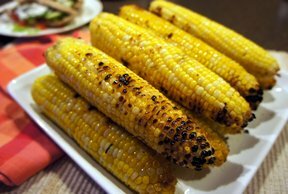 Similarly, if an item is being cooked, it may slow some of the cooking process only slightly if the shiny side is on the outside of the item resulting in the heat being reflected. Or if you want wrapped foods to remain warm, wrap the food with the dull side out so the heat reflects off the shiny side and back into the food.